In Reseda, landscaping is about more than home value. Although you might focus on your landscaping when you need to boost curb appeal, your landscaping is effecting you all year round. It changes your mood, stress level and your enjoyment of your home and yard. Messy untidy yards make our home feel messy and untidy. How much stress do broken sprinklers and dying plants cause you? Every time you walk in you door, or step outside, you’ll stress about when, and how, you’ll finally get the system fixed. 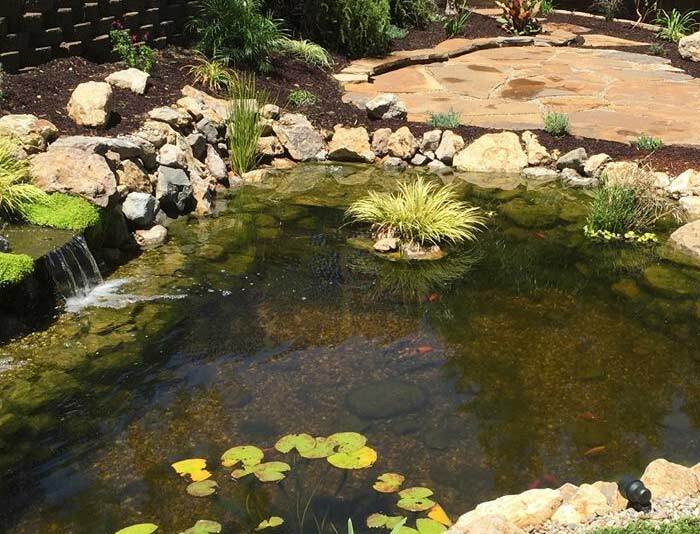 Compare that to the relaxing trickle from backyard waterfall, the joy of being welcomed by pet koi fish, or the relaxation you’ll feel when you don’t have to worry about wasting water on your drought tolerant landscaping. Landscaping does affect us deeply. So get your yard fixed or refreshed by Chuck’s Landscape. Broken sprinkler systems are a hassle. They don’t just create brown or yellow spots through your yard. They also cost you in wasted water and reduce the health of the flowers and plants you invested in. Chuck’s Landscaping can fix your sprinklers, or change the system, so that the water is dispersed properly. The result is healthy green grass, and plants that stand upright and look happy. A healthy yard will boost your mood, instead of causing you stress. If your sprinkler system is broken beyond repair, or if you simply need a new one, Chuck’s Landscaping also handles sprinkler installation. Further, if your grass is dead, we also perform sod laying, so you can start your new system off with a clean slate of healthy grass. Hardscaping can provide a pathway through your backyard oasis. Plus, it can create a gathering spot where you can relax, or entertain friends and family. Hardscaping is also an important aspect of drought tolerant landscaping. With more hard features and fewer plants, you can save water, without sacrificing the beauty of your yard. 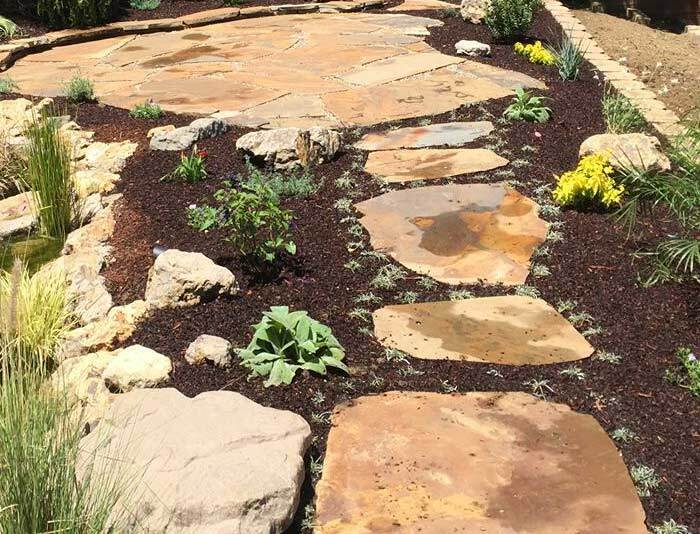 Chuck’s Landscaping creates unique and high-quality hardscape designs that can transform an unruly yard into a thing of beauty, whether you’re aiming for a naturalized look or a highly manicured modern look. Chuck’s Landscaping is the company you should turn to if you want beautiful, low maintenance landscaping installed by experts who know that your yard will change how you feel. 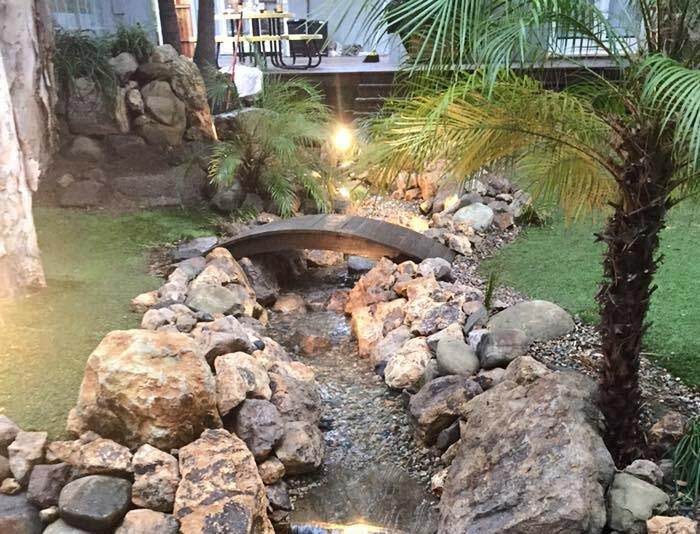 Contact us for landscaping in Reseda.